Dedicated to the great classical music performer of Turkey- Zeki Muren, this art museum is set up in the home of the artist. He lived here during his stay in Bodrum and displays a memorabilia of his personal items, awards, costumes, sketches and fan letters. The home itself is a beautiful specimen of Turkish interior decoration and architecture. The house is surrounded by a pretty garden which offers stunning view of Kara Island and Aegean Sea. The bronze sculpture of the artist, the front elevation inscribed with his handwriting is a must-see! Love this? Explore the entire list of places to visit in Bodrum before you plan your trip. Fancy a good night's sleep after a tiring day? Check out where to stay in Bodrum and book an accommodation of your choice. How popular is Zeki Muren Art Museum? People normally club together Catamaran Night Club and Bodrum Castle Of St Peter And Museum Of Underwater Archaeology while planning their visit to Zeki Muren Art Museum. 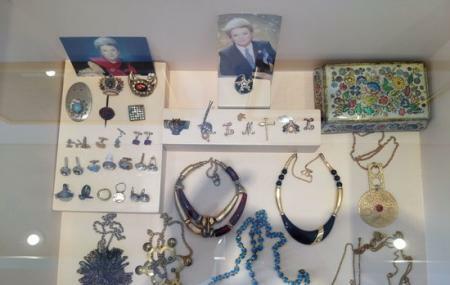 Zeki Müren is a famous singer in Turkey, you should visit his museum, and you can see his accesories and awards etc. This place gives you an idea about Zeki Muren’s personality. Humble and simple yet elegant. His patio had a great view. A must to visit in Bodrum. 5 turkish liras to enter. If you want to know or learn more about Zeki Muren, you should really go there. Really see those personal belongings, jewels, furniture, clothes and car in the glass room in front of the house. Tells good about the great Turkish musician, Zeki Müren. It's a historical place. But I find it quite small. It's usually crowded with old people too.